For decades, scientists have been of the belief that the Moon, Earth’s only natural satellite, was four and a half billion years old. According to this theory, the Moon was created from a fiery cataclysm produced by a collision between the Earth with a Mars-sized object (named Theia) roughly 100 million years after the formation of primordial Earth. But according to a new study by researchers from UCLA (who re-examined some of the Apollo Moon Rocks), these estimates may have been off by about 40 to 140 million years. Far from simply adjusting our notions of the Moon’s proper age, these findings are also critical to our understanding of the Solar System and the formation and evolution of its rocky planets. This study, titled “Early formation of the Moon 4.51 billion years ago“, was published recently in the journal Science Advances. 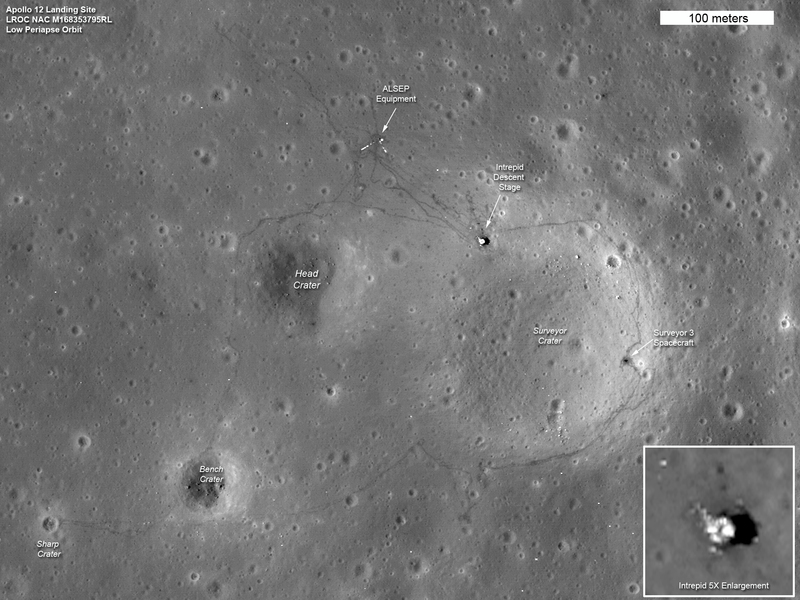 Led by Melanie Barboni – a professor from the Department of Earth, Planetary, and Space Sciences at UCLA – the research team conducted uranium-lead dating on fragments of the Moon rocks that were brought back by the Apollo 14 astronauts. By examining the radioactive decay of these elements, and correcting for cosmic ray exposure, the research team was able to get highly precise estimates of the zircon fragments ages. Using one of UCLA’s mass spectrometers, they were able to measure the rate at which the deposits of uranium in the zircon turned into lead, and the deposits of lutetium turned into hafnium. In the end, their data indicated that the Moon formed about 4.51 billion years ago, which places its birth within the first 60 million years of the Solar System or so. Previously, dating Moon rocks proved difficult, mainly because most of them contained fragments of many different kinds of rocks, and these samples were determined to be tainted by the effects of multiple impacts. However, Barboni and her team were able to examine eight zircons that were in good condition. More importantly, these silicate deposits are believed to have formed shortly after the collision between Earth and Theia, when the Moon was still an unsolidified mass covered in oceans of magma. As these oceans gradually cooled, the Moon’s body became differentiated between its crust, mantle and core. 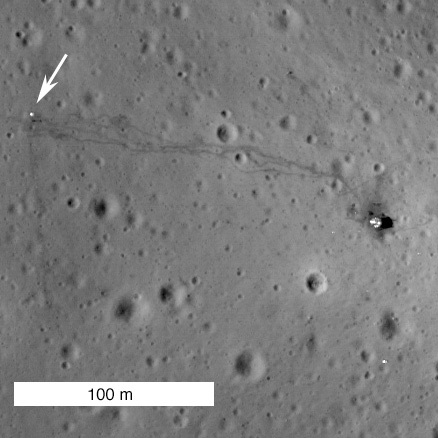 Zircon deposits found in the Moon rocks returned by the Apollo 17 mission. Credit: NASA//Nicholas E. Timms. 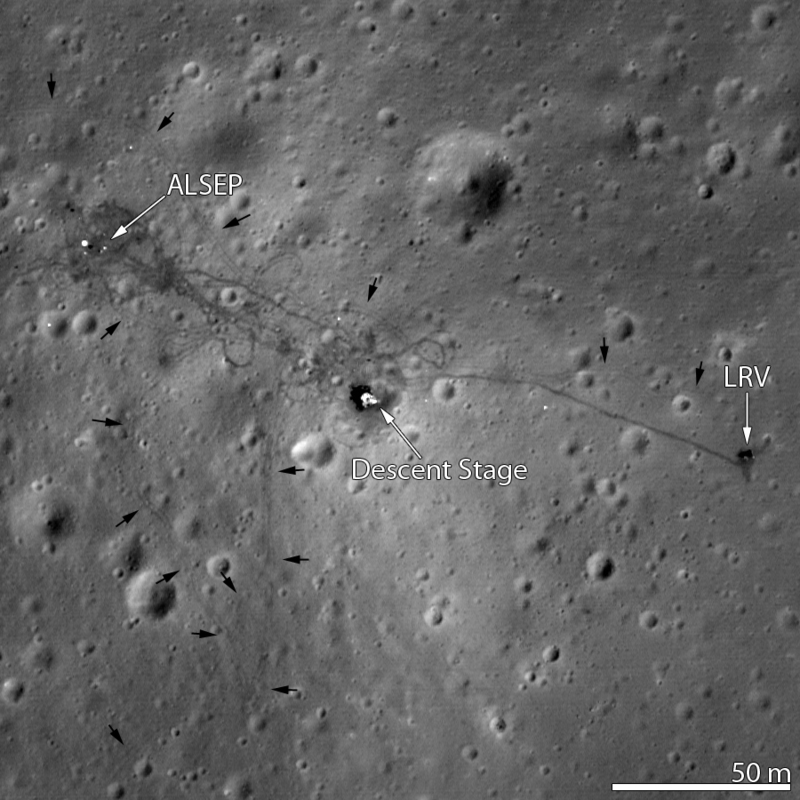 These findings have not only determined the age of the Moon with a high degree of accuracy (and for the first time), it also has implications for our understanding of when and how rocky planes formed within the Solar System. By placing accurate dates on when certain bodies formed, we are able to understand the context in which they formed, which also helps to determine what mechanisms were involved. And this was just the first revelation produced by the research team, which hopes to continue studying the zircon fragments to see what they can learn about the Moon’s early history. KENNEDY SPACE CENTER, FL – NASA astronaut Edgar Mitchell, the 6th man to walk on the Moon, passed away on Thursday, Feb. 4, on the eve of the 45th anniversary of his Apollo 14 mission lunar landing. Most of us get up in the morning, shower, eat breakfast and sleepily make our way to work. Whether we work in an office, outdoors, with the public or in any number of exciting Earth-based careers, our daily commute can hardly compare to that of a moon astronaut! In Earthrise: My Adventures As An Apollo 14 Astronaut, Edgar Mitchell shares his personal story of how he came to share a career with a scarce 11 other people in history. This new book tells the story Mitchell’s life; he started out as a farm boy from a small town in New Mexico who grew up in a normal family and lived a normal life but he worked hard enough and got lucky enough to go to the Moon. He wasn’t born into it, and he wasn’t so supremely gifted that he aced everything he tried in his life. He had the willpower to work through years of training, and he had the courage to get into a gigantic rocket that would launch him a quarter of a million miles through space, even though the last people who had tried to go to the Moon were lucky to get back alive. And, being a real person doing an extraordinary thing, he came back changed by the experience. Despite the trials and tribulations of training, of flying there, of a close call with a malfunctioning “abort” button, and of the moonwalk itself, Edgar details how the ride home was the most life-changing part of the entire journey. As he saw the Earth shining in front of him, he described a sensation he called metanoia that was to shape the rest of his life. He’d explored as much of outer space as current technology would allow: now he wanted to do the opposite and explore the mind. Though he’d always been interested in topics like ESP (he even conducted his own ESP experiment with a few doctors on Earth during the mission), it was easy to see how it changed his perspective on everything. And, from his descriptions, he’s not the only Apollo astronaut to have a different perspective on life after the mission: they were real people, after all, and if you went to the Moon, you’d probably be changed as well. That’s where “Earthrise” really shines: you get the idea that you too could do the same thing if you were willing to work for it. This book is strongly recommended for all children who are interested in space; as Edgar Mitchell was inspired by stories of Roswell and of Buck Rogers when he was young, perhaps a child who reads this very book will someday fly around the Moon and watch the Earth come up. Universe Today and Chicago Review Press are pleased to be able to offer three free copies of “Earthrise: My Adventures as An Apollo 14 Astronaut” to our readers. This contest is open to US and Canadian residents only. In order to be entered into the giveaway drawing, just put your email address into the box at the bottom of this post (where it says “Enter the Giveaway”) before Wednesday, April 30, 2014. If this is the first time you’re registering for a giveaway, you’ll receive a confirmation email immediately where you’ll need to click a link to be entered into the drawing. For those who have registered previously, you’ll receive an email later where you can enter this drawing. If you are not lucky enough to win one of our three free copies, or if you don’t want to wait, you can purchase the book from Amazon.com. Apollo 14 astronaut Edgar Mitchell decided to bring the camera back, and now, 40 years later, his decision is going to land him in court. This Data Acquisition Camera (DAC) was one of two 16mm cameras on the Apollo 14 lunar module "Antares" when it landed on the moon on Feb, 5, 1971. Credit: Bonhams. The DAC, it seems, was not on any lists handed in by Mitchell. Yet it was never intended to be on the ride back to Earth, either. 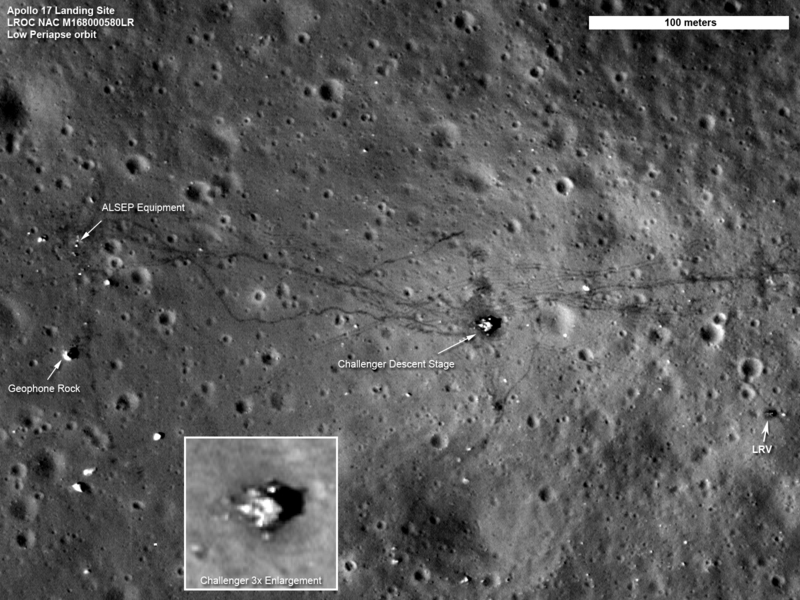 Rather its destination was to be in the bottom of a crater made by the landing module when it crashed back onto the Moon. Read more about this on collectSPACE.com. NASA celebrated the 50th anniversary of the first American manned spaceflight at a special ceremony on May 5, 2011 which recreated every moment of that short suborbital flight by the late Mercury astronaut Alan B. Shepard. The event unfolded from the very spot and launch pad 5/6 where he blasted off from Cape Canaveral Air Force Station, Florida on May 5, 1961. Shepard’s entire 15 ½ minute suborbital spaceflight aboard the “Freedom 7” capsule was replayed in a multimedia audio and video presentation that was projected on a Jumbotron erected off to the side of an 82 foot tall replica of his Mercury-Redstone 3 rocket. The recreation was precisely timed to coincide with the exact events of the historic mission from the launch at 9:34 a.m. to the ocean splashdown some 15 minutes later at 9:49 a.m. just as they occurred 40 years ago on May 5, 1961. The multimedia replay began at the T minus 5 minute mark in the countdown with restored voice tapes and film footage and included every single word spoken by Shepard, live views from inside his “Freedom 7” capsule, shots of the Earth below, the spaceship descending by parachute and the naval recovery vessels. The memorial event took place at Alan Shepard’s launch pad at Cape Canaveral to recall and honor the results and legacy of the flight. Fellow “Original 7” Mercury astronaut Scott Carpenter did a lively play by play commentary of all the events of Shepard’s flight as it was broadcast on the Jumbotron. Carpenter was the 2nd American to orbit the Earth after John Glenn. A crowd of more than 700 folks attended including top NASA officials and spaceflight dignitaries; NASA Administrator Charles Bolden, Kennedy Space Center Director Bob Cabana, fellow Mercury astronaut Scott Carpenter; 20 members of Shepard ‘s family including his three daughters; Jack King, former chief of NASA’s Public Information Office; Bob Moser, former Chief Test Conductor, many people who worked on Project Mercury, Florida Space Coast community leaders as well as numerous space exploration fans who journeyed here from all across the globe. Apollo 16 Moonwalker Charlie Duke, a friend and colleague of Shepard was also on hand for the festivities. “In the audience today, we have more than 100 workers from the Mercury era who devoted their lives to flying humans safely in space,” said Kennedy Space Center Director Bob Cabana. “You should be extremely proud of what you did for our country and for humankind,” Cabana added, as he asked them to stand and be applauded and thanked for their service by the audience. The 50th anniversary commemoration was sponsored by NASA and local space historians and community officials. Project Mercury Astronaut Scott Carpenter and Hugh Harris, Shepard event organizer and NASA shuttle launch commentator. Carpenter is one of only two surviving “Original 7” Mercury astronauts. The ceremony was organized by Hugh Harris, retired NASA space shuttle Launch commentator, and longtime NBC Newsman Jay Barbree who is the only journalist to cover every American manned space mission. Shepard’s flight blasted off barely three weeks after Cosmonaut Yuri Gagarin became the first human to orbit the Earth on April 12, 1961. The successful outcome of Shepard’s mission emboldened then President Kennedy to declare that America “should commit itself to achieving the goal, before this decade is out, of landing a man on the moon and returning him safely to the Earth,” just three weeks later on May 20, 1961. Alan Shepard later became the fifth human to set foot on the Moon as Commander of the Apollo 14 mission. Apollo 14 blasted off on Jan. 31, 1971. Shepard was the only member of the “Original 7” Mercury astronauts to walk on the moon and did so along with Lunar Module Pilot Edgar Mitchell. 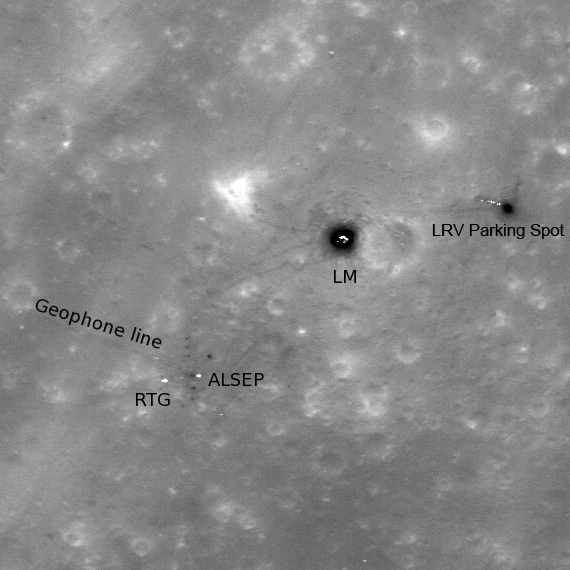 They touched down in the Fra Mauro region originally intended as the landing site for Apollo 13. Kudos to Harris and Barbree for an outstanding effort taking everyone back in time and staging a thrilling “You are There!” experience to relive the events as they unfolded 50 years ago. Apollo 16 Moonwalker Charlie Duke and Ken Kremer speak at Alan Shepard ceremony.